Do cheap lawn mowers make the cut? 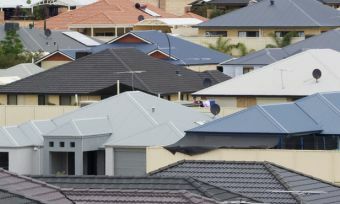 Moving into a house and having your own slice of land to call your own is part of the Australian dream, but there’s a lawn to be mowed as well. Apart from Barry across the road who mows in thongs and short football shorts every Sunday, not many people seem to enjoy lawn mowing, and want to spend the least possible on their mower. With Canstar Blue research showing that consumers spend $515 on average, it is little wonder that many of us want to spend much less. And the fact is you can, with some powered lawn mowers costing less than $300. However, does that mean you should? 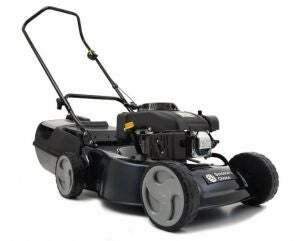 Review some of Australia’s cheapest lawn mowers and whether they are worth the money. Cheap Lawn Mowers: What’s out there? There are several models floating around the Australian retail space that cost less than $300 – about the benchmark for what constitutes ‘cheap’. Perhaps one of the premier providers of cheap lawn mowers is Bunnings Warehouse’s own brand ‘Ozito’, as well as ALDI’s ‘Gardenline’ mower, if you can wait for the unpredictable Special Buys. Other retailers to stock cheap lawn mowers are Kmart and Big W.
Bunnings’ exclusive mower brand Ozito is quickly becoming as synonymous with Bunnings as the Sunday sausage sizzle. 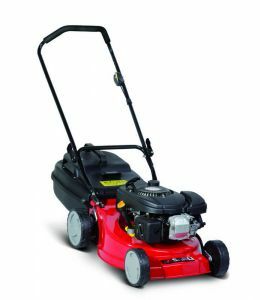 It specialises in electric-only mowers, with one cordless model on offer, and two corded. 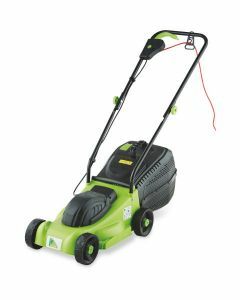 The cordless lawn mower costs around $400, but the corded varieties can be found for less than $200, including the 1400W model pictured. At these very cheap prices, you can’t expect the world, and these corded mowers would probably be best suited to small suburban blocks – just make sure your home has outdoor power points! If you’re looking to save a buck, Ozito mowers may be the go, as they are electric, and unlike petrol mowers, the engines don’t require as much upkeep – no petrol, no filters and no spark plugs! If you don’t want an electric mower, ALDI provides a cheap petrol lawn mower. However, you’ll have to be willing to wait for the next round of Special Buys to see if it’s available. Unpowered, ‘push reel’ or manual hand mowers are definitely cheap, but consider if they are worth the effort involved. Push mowers basically have a rotating blade as you push that chops grass, and as they are unpowered, the push power comes from how hard of a workout you want to have on that day. While the prices are cheap, you do have to consider if it’s worth the effort. Look out for features that can aid in making the job a bit easier, such as wider cutting widths, adjustable cutting heights and having grass spill out from the front, not the back – so your shoes don’t get dirty. If you have a small suburban lawn, it may be worth the extra manpower to save a few bucks, but for larger blocks a motorised lawn mower may still be king. Aside from the brands mentioned above, retailers Kmart and Big W also sell lawn mowers mostly at the cheap end of the spectrum. Kmart’s own brand ‘Gardener’s Choice’ lawn mowers vary from store to store, but generally they are electrically-powered and boast power levels of around 1000W. Basic functionality is usually afforded, with a lightweight design, adjustable cutting heights and a grass catcher. While you’re paying fairly low prices, you have to consider the power of the motor and the extra work required on your part. Often, by spending a little extra, you can find electric lawn mowers with 1400W+ capacities, which may go the extra distance in getting a good chop. Big W is a bit different from Kmart in that what it stocks is actual name-brand mowers. In this case, Big W stocks ‘Sanli’ lawn mowers. Sanli has a range of over five petrol-powered lawn mowers, including self-propelled ones and ones with mulching functions. All come with a four-stroke engine, as well as catcher bags to make life a bit easier. Are cheap lawn mowers worth it? You may be lured by the cheap price, but if you have a big lawn, spending more on a mower may save a few headaches in the long run. 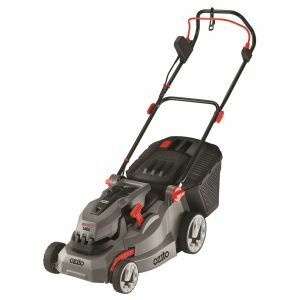 Cheap mowers might be ideal for the modern suburban backyard, but often they are light on power and features. Those who are looking for a more comprehensive mowing experience, or those with bigger yards, may look to spend more to save time and effort in the long run. Long story short, cheap mowers are often cheap for a reason. However, unless you have a bigger yard or mowing is your actual hobby or job, a cheap lawn mower may be just what an average suburban block needs on a Sunday morning. At less than $200, you don’t have to break the bank to give your grass a haircut.